The King of Jordan Abdullah on Sunday at Al Husseiniya Palace received the president Masoud Barzani, who is in Jordan for a visit. The meeting, covered the strong ties between Jordan and Iraq and means to improve cooperation between Jordan and the Kurdistan Region in various fields. 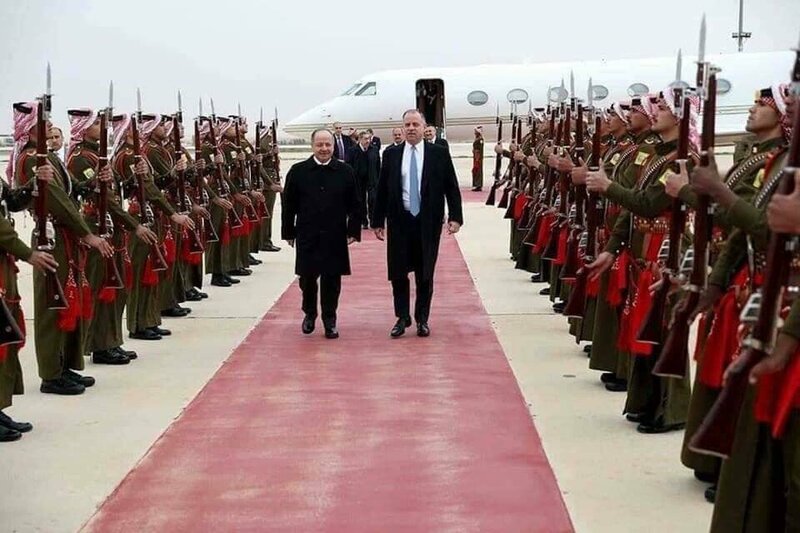 The King of Jordan Abdullah also affirmed Jordan’s support for Iraq’s security and stability, and that it will continue to stand by the Iraqi people in their efforts towards further progress and prosperity in their country. The meeting touched on a number of regional issues, in addition to efforts to fight terrorism within a holistic approach.